Promise I don't come here just to tell you when stuff is free, although after this quick post that's what you're going to claim. 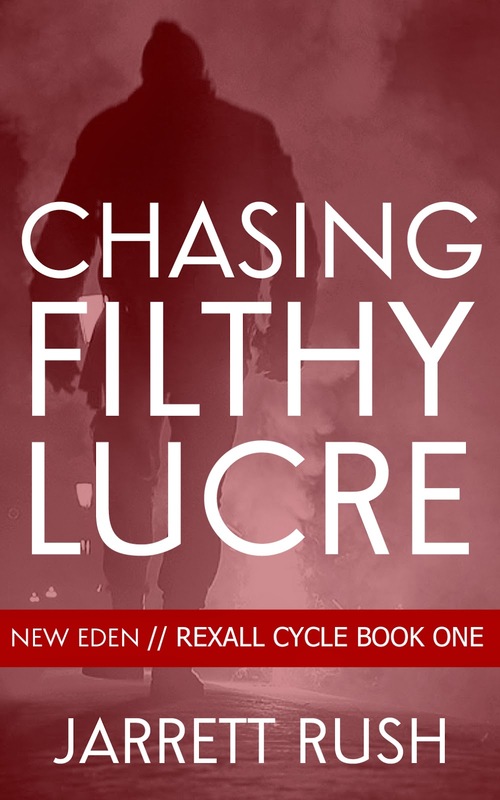 Chasing Filthy Lucre is free though Friday over at Amazon. If you haven't already grabbed your copy yet, go get one. If you need to know more about the story, read this. New Eden was big, beautiful, and bustling. That’s all a memory. A failed political power grab has left New Eden with no government but plenty of crumbling buildings, out-of-work drifters, and strung out data addicts. A former cop and former soldier, Weber Rexall has spent his life taking orders. But after the government collapses, it’s every man for himself, and Rexall is on his own. He realizes quickly that in New Eden cash is now king. That's why, whether it's throwing fights in a basement fight club or doing security work for a friend, he'll take whatever job he can. When one of those security jobs goes violently wrong, and a rising corporate power threatens his status quo, Rexall finds a cause to believe in. It won't pay him anything, but it might change his life.